Bright White Clearcoat 2018 Jeep Wrangler JK Unlimited Rubicon 4WD 5-Speed Automatic 3.6L 6-Cylinder 35" BFG Mud-Terrain Tires, 3.5" Lift, AEV Bumpers, Pro Cal, AEV Leather Seat Covers, AEV Borah Wheels, WARN winch, AEV Fuel Caddy, AEV Rear Camera System, IPF Work Light, AEV Front & Rear Diff Covers, IPF Off-Road Lighting, AEV Tire Carrier, Dana 44HD Front Axle, Dana 44HD Rear Axle, 4.10 Rear Axle Ratio, 40GB Hard Drive w/28GB Available, 6.5" Touchscreen Display, Add 4.10 Axle Ratio, Alloy wheels, Alpine 9-Speaker w/All Weather Subwoofer, Audio Jack Input for Mobile Devices, Auto-dimming Rear-View mirror, Brake assist, Class II Receiver Hitch, Connectivity Group, Fully automatic headlights, GPS Navigation, Heated door mirrors, Heated Front Seats, Illuminated entry, Leather steering wheel, Low tire pressure warning, Max Tow Package, MOPAR Slush Mats, Performance Suspension, Power door mirrors, Power windows, Quick Order Package 24R, Radio data system, Radio: 430 Nav, Remote keyless entry, Remote Start System, Remote USB Port, Security system, SiriusXM Travel Link, Steering wheel mounted audio controls, Sunrider Soft Top, Tilt steering wheel, Tire Pressure Monitoring Display, Trailer Tow w/4-Pin Connector Wiring, Uconnect Voice Command w/Bluetooth, Variably intermittent wipers. AEV Conversions Recruit Package! Brilliant Black Crystal Pearlcoat 2018 Ram 1500 Big Horn 4WD 8-Speed Automatic HEMI 5.7L V8 Multi Displacement VVT AEV Recruit package, AEV Branding kit, AEV Heat Reduction Hood, AEV front bumper assembly, AEV grill-black, AEV 4" inch DS suspension lift, Vision X 6.7 halogen lights, AEV 20" inch Recruit wheels, BFG 35" inch K02 All-Terrain tires, AEV rear bumper w/dual exhaust, AEV fender flares, AEV standard leather seats, Amp Research Power Side Steps, WARN Zeon 10S winch, Park Assist module, 3.92 Rear Axle Ratio, 4 Adjustable Cargo Tie-Down Hooks, 40/20/40 Split Bench Seat, 6 Speakers, 8.4" Touchscreen Display, Active Grille Shutters, Apple CarPlay, Audio Jack Input for Mobile Devices, Auto-Dimming Exterior Mirrors, Auto-Dimming Rear-View Mirror, Bed Cargo Divider/Extender, Big Horn Badge, Big Horn Regional Package, Brake assist, Bright/Bright Billets Grille, Class IV Receiver Hitch, Dual Rear Exhaust w/Bright Tips, Electric Shift-On-Demand Transfer Case, Electroluminescent Instrument Cluster, Exterior Mirrors Courtesy Lamps, Exterior Mirrors w/Supplemental Signals, Folding Flat Load Floor Storage, Front Armrest w/3 Cupholders, Front Center Seat Cushion Storage, Fully automatic headlights, Google Android Auto, Heated door mirrors, Heated Front Seats, Heated Seats & Wheel Group, Heated Steering Wheel, Humidity Sensor, Illuminated entry, Integrated Voice Command w/Bluetooth, Leather Wrapped Steering Wheel, LED Bed Lighting, Low tire pressure warning, Media Hub (2 USB, AUX), Overhead Console w/Garage Door Opener, ParkSense Front/Rear Park Assist System, Power 10-Way Driver Seat, Power Heated Fold-Away Mirrors, Power Lumbar Adjust, Power Sunroof, Power-Folding Mirrors, Premium Cloth 40/20/40 Bench Seat, Protection Group, Quick Order Package 27S Big Horn, Radio data system, Radio: Uconnect 4C w/8.4" Display, RamBox Cargo Management System, Rear 60/40 Split Folding Seat, Rear Dome w/On/Off Switch Lamp, Rear Floor Mats, Rear Power Sliding Window, Remote keyless entry, Remote Start System, Security Alarm, SiriusXM Satellite Radio, Steering Wheel Mounted Audio Controls, Storage Tray, Tilt steering wheel, Tip Start, Tow Hooks, Trailer Brake Control, Universal Garage Door Opener, USB Host Flip, Variably intermittent wipers. 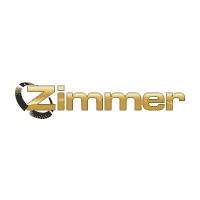 Zimmer Discount Includes All National & Regional Rebates & Bonus Cash. Also Includes Chrysler Capital Finance Rebates. You May Be Eligible For But Price Does Not Include Military, Conquest, Loyalty, And Other Conditional Incentives: $500 - 2018 MY Military Program 39CJB. Exp. 01/02/2020, $1,000 - 2018 Retail Bonus Cash GLCJA1. Exp. 04/30/2019, $3,000 - 2018 Retail Consumer Cash **CJ1 (exclu. CA-SW). Exp. 04/30/2019, $500 - 2018 Chrysler Capital 2018 Bonus Cash **CJ5 (exclu. MW-NE-SE). Exp. 04/30/2019, $800 - National RAM LD Select Inventory Bonus Cash 40CKB. Exp. 04/30/2019, $750 - Great Lakes 2018 Bonus Cash GLCJA. Exp. 04/30/2019 Price includes dealer added accessories.